I am finally back with a post. It’s been a crazy past two weeks, I can’t even begin to describe. Quick update: I am about to leave my job (yay! ), so starting next week it’ll be back to the kitchen for this home girl. I cannot be more elated. Oh joy! Today’s feature is about a restaurant my girlfriends and I visited earlier this week. This dinner was just what we needed to perk up a Monday to chase away those blues. While it was pouring heavily outside, we were huddling comfortably in a little bustling eatery at Orchid Hotel — slurping down what I’d like to call “artisan Maggie mee”. 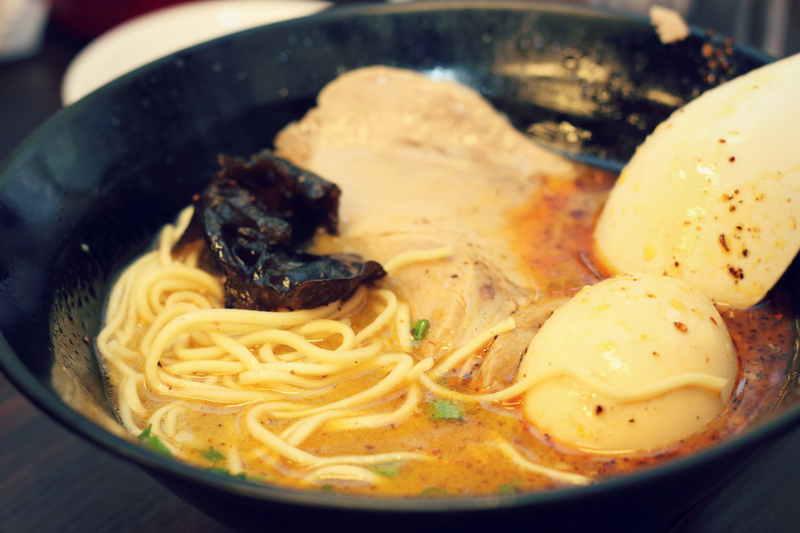 Oh yes, it’s time to say amen to ramen!